Feeling very David Bowie at the moment as I write this with all the changes that have happened over the last week. I finished working at Aviva on Thursday afternoon, and by Tuesday morning was fully installed in my new house in Norwich and about to start work at my new job! My first day was filled with the usual, not really knowing what you're supposed to be doing, where you're supposed to be, who you're supposed to be answering to and how to log onto the IT systems. The staff are all really friendly though and it's so interesting talking to people who have had such interesting careers within the NHS. Very proud to be working for the NHS, I don't want to come across nationalistic, but it really is one of my favourite things about my own country. At the moment I am just working a temporary administrative role while I wait to get fully trained for my clinical job. My dad and Margaret drove me the three hour drive down on Monday morning, after wrestling to get everything into the car. 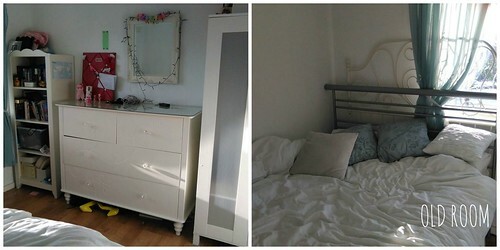 I've just about unpacked, but just for you nosy parkers out there I thought I would put a photo or two up here to give you a sneak peak into my new home, and a couple of my old room at home. 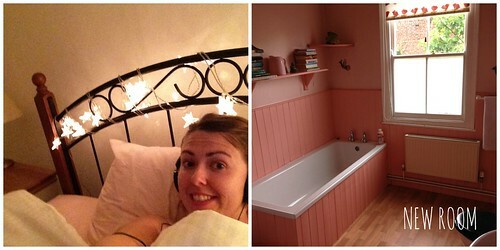 I love the pink ensuite bathroom! So far Norwich seems really nice, and VERY small! Just as I had started to get things ticked off on my goal list, I have a whole new set of goals! Eeeek! Weekend: It's oh so Quiet! Shh! Travel Tuesday: Peru, the Highs and the Lows.